Bon Jovi Web Radio: VOTE BON JOVI FOR "BEST TOUR OF THE YEAR" & "FAVORITE TOUR HEADLINER"! VOTE BON JOVI FOR "BEST TOUR OF THE YEAR" & "FAVORITE TOUR HEADLINER"! 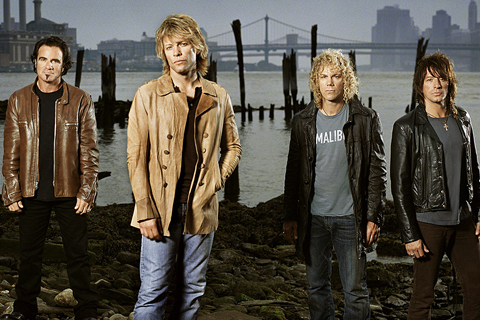 Over the last two years, Bon Jovi rocked out for millions of loyal fans across the world! Read more to see how you can help the band win awards for "Best Tour of the Year" and "Favorite Tour Headliner"! These are both Fan Choice Awards so make sure to vote today! Be sure to show your support by voting for Bon Jovi to win Billboard/Eventful's 2011 Fans' Choice Award for "Best Tour of the Year"! Voting ends on Monday, November 7th at 2:00PM PST so click here to start demanding Bon Jovi as "Best Tour of the Year" now! You can only vote once so make sure to spread the word. Bon Jovi is also up for a Fan Voted Nomination for Favorite Tour Headliner for the People's Choice Awards! Let's help make the band one of the top 5 official nominees by voting for them as much as you can! Make sure you tell all your friends and family to vote too! Then on November 8th, come back to start voting for the official nominees as chosen by YOU!